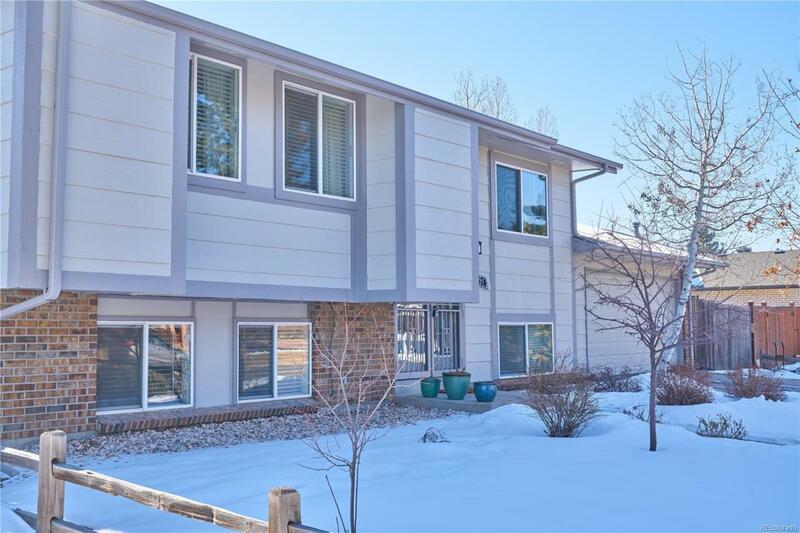 Welcome to this beautifully remodeled & conveniently located home in Eastridge! This home features recently refinished hardwood floors,fresh exterior paint,new furnace,new water heater,new garage door and upgraded electrical. Master bedroom & just remodeld bathroom,two additional bedrooms,living &dinning room,kitchen located on upper level.The lower level offers a family room with fireplace, bedroom with walk-in closet, study, newly remodeled (early 2018) bathroom, laundry and an additional walk-in closet for extra storage. The huge backyard makes this home wonderful for family gatherings and entertainment. Take your bike to Cherry Creek State Park.Quiet neighborhood,less than 5 minutes drive to I-225 & Dam Road to DTC.Minutes from new big development called "The POINT" at I-225 & Parker Rd that is expected to be completed in the summer/fall of 2019.Located in the Cherry Creek school district, this home is perfect for families of all ages - don't miss out on this unique find!